Ford is founded in American values that are admired worldwide. Each Ford Explorer is distinct, projecting the strength and capability that can only belong to Ford. 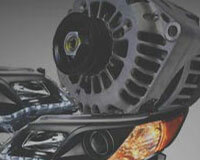 We offer dedicated services to make the purchasing of OEM parts online a pleasurable and stress-free experience. The Ford brand is one of the best-selling, most respected automotive manufacturers in the world. There is nothing quite like owning a piece of the American-made dream by driving a Ford Explorer. 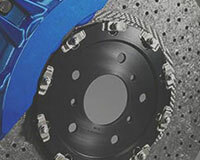 We strive to provide you with the best selection of Ford parts at the lowest prices possible. When you need genuine Ford Explorer parts and accessories, you can find them here at Ford Parts Prime. Orders ship from several distribution centers across the United States to facilitate product shipping and delivery on schedule and ensure minimum transit times. Ford Explorer, as a full-size, three-row crossover Sport Utility Vehicle (SUV), has been produced by the great American multinational automaker Ford Motor Company since 1990. From 1990 to 2010, it was traditional body-on-frame, mid-size SUVs but since the 2011 model year, it has been a more modern unibody, full-size crossover SUV. Ford Explorer was first introduced for the 1991 model year to replace the Ford Bronco. Consistently among the best sellers in its class and as one of the most popular SUV on the road, Ford Explorer has won 2011 North American Truck of the Year award, 2011 Best New Technology Award and so on. Until now, it has been manufactured through five generations. The fourth-generation Ford Explorer (2006-2010) was based on a truck-style ladder frame and was offered in trim levels such as base Sport Value, Sport Choice, XLS, Sport Premium, XLT, Eddie Bauer, Limited, as well as Sport Trac and Sport Trac Adrenalin pickup truck variants. It then was powered by a 4.0 L Cologne SOHC V6 engine rated at 210 horsepower and 254 pound-feet of torque and a 4.6 L Modular 24-valve V8 engine developing 292 horsepower and 315 pound-feet of torque, and both engines were mated to a 5-speed or a 6-speed automatic transmission. Then the fifth-generation Ford Explorer (2011-present) featured a unibody structure as a crossover and is available in five trim levels and gets three engine options: V6, a turbo four and a turbo six as well as three 6-speed automatic transmissions. First, intense vibration. Based on Ford Explorer drivers' plentiful experience, this issue belongs to suspension failure. In general, this issue will not cause the vehicle undrivable but affects driving experience a lot. Some Ford Explorer drivers said the more sluggish response in vehicle handling is dangerous and intense car vibration deteriorate this situation. Moreover, abnormal sounds like clunking, rattling and scraping from underneath the vehicle distracted drivers' attention as well. It would also exert influence in braking so that you need longer stopping time not to mention the uneven tire wear. So, similar symptoms in your Ford Explorer are indicating you to inspect the sway bar bushing, drive shaft, shocker absorber, torsion bar and sway bar link. Second, worse engine performance. Actually, it is inevitable that engine would wear and tear as the accumulation of mileage without exception for Ford Explorer engine. Some Ford Explorer owners are kind enough to offer some signs to help you recognize this issue prematurely. Squealing or rattling sound from the engine, engine running roughly, misfiring even difficulty in starting over again are obvious symptoms. 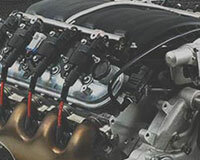 Furthermore, burning oil smell, slow acceleration, excessive fuel consumption and lit Check Engine Light are all indicators of inspecting timing belt tensioner, valve cover gasket and spark plug in a minute. 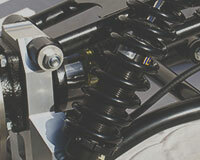 However, routine maintenance is another part you could not miss when trying to lengthen your Ford Explorer's lifespan. Before knowing how to maintain, you had better know what to maintain. The headlight is designed to light up the road ahead in the early morning or at dark night and warn others on the road of your presence, but it may fail after the harm from random pieces of trash or other things like rocks striking the lens when driving or becomes cloudy after long periods of time. So, you should maintain it more regularly for your better driving visibility and safety. The mark of your prestigious Ford Explorer - emblem may get loose or fallen off, you should put it on your routine maintenance list as well. 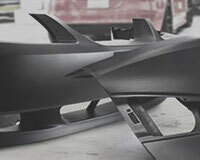 OEM Ford Explorer auto parts should be your prime and exclusive option when choosing new parts replacements. 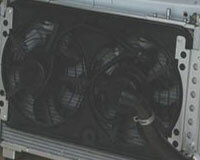 FordPartsPrime.com is dedicated to offering a broad selection of lowest-priced genuine Ford Explorer auto parts. These manufacturer-warrantied OEM Explorer parts are also favored by hassle-free return policy and quickest delivery service, so, you could start your shopping now with complete confidence!